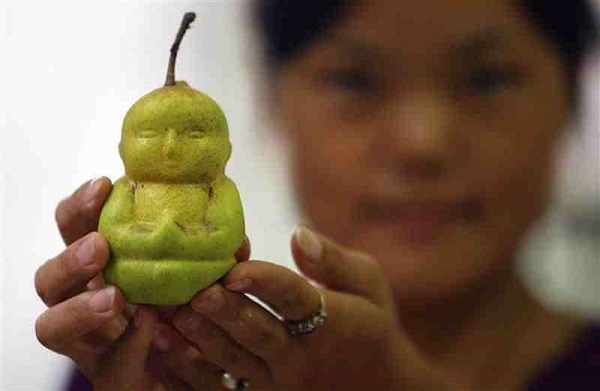 The Chinese farmer Gao Xianzhang cultivates pears which grow up taking the form of a young man. The truth is that they remind us of the Buddha. 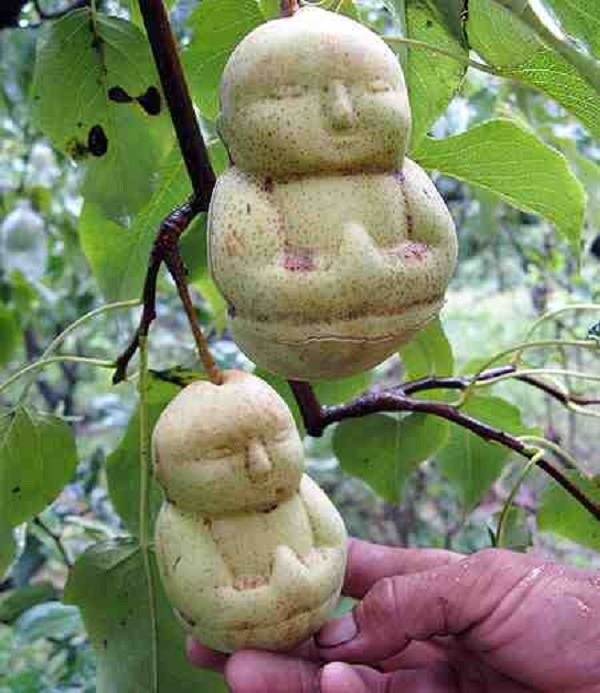 It took more than six years to make perfect the idea, which includes the development of each fruit for a specific time in a cast, giving it shape. Xianzhang is preparing to export the product in Europe in the near future. 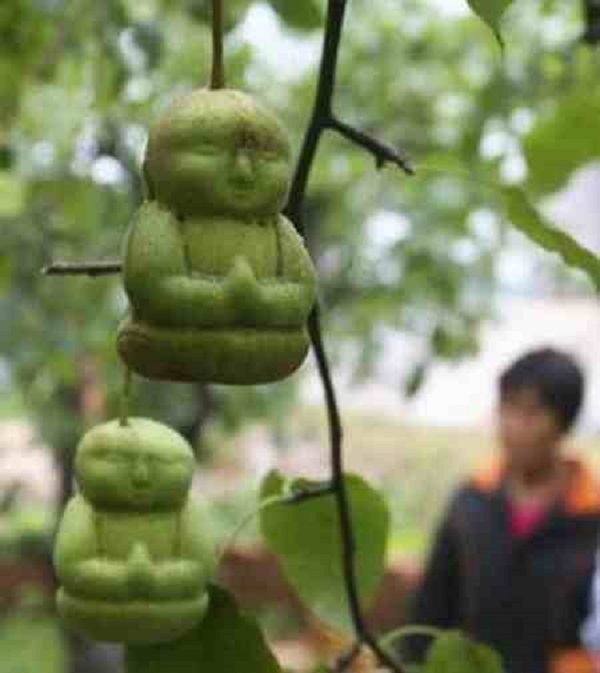 The comments of the villagers are very positive because they believe that they bring luck. 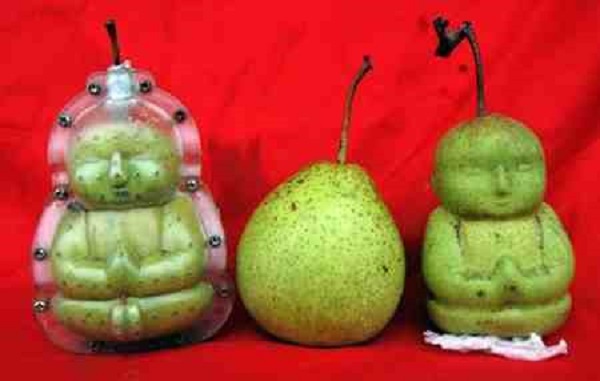 These pears will cost 5 euros each and are expected to be sold out quickly.